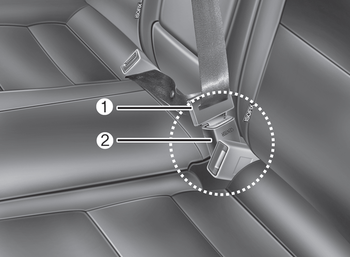 The height of the adjusting seat belt should not be too close to your neck.You will not be getting the most effective protection. 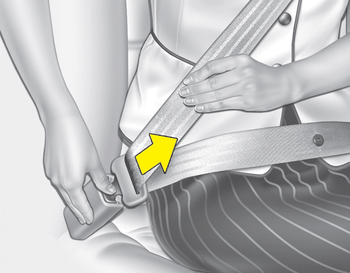 The shoulder portion should be adjusted so that it lies across your chest and midway over your shoulder near the door and not your neck. 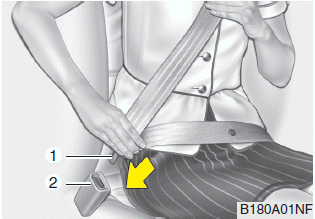 Set the belt extension guide to the position (1~2) when using the seat belt. 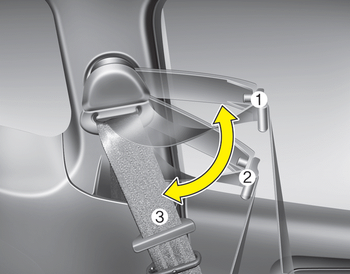 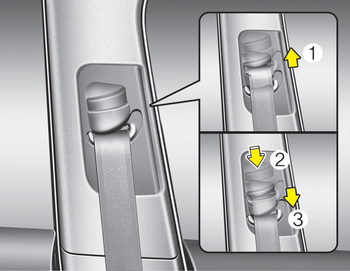 Set the belt extension guide to the position (3) when getting in or getting out of the rear seat. 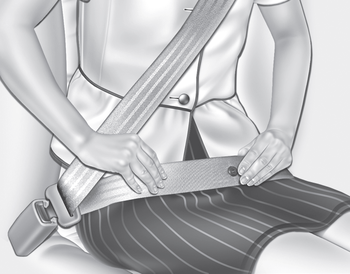 Never wear the seat belt under the arm near the door.